In the 1960’s, some of the most iconic names in music history were discovered in the Motor City of Detroit, which ushered a worldwide craze that transformed into 1970’s soul. The Magic of Motown is a celebration of these artists, their music, and timeless style. This dynamic and driving tribute spans more than a decade of Motown and soul classics – every one ofthese songs among the most recognizable and culture-defining songs in pop music history. 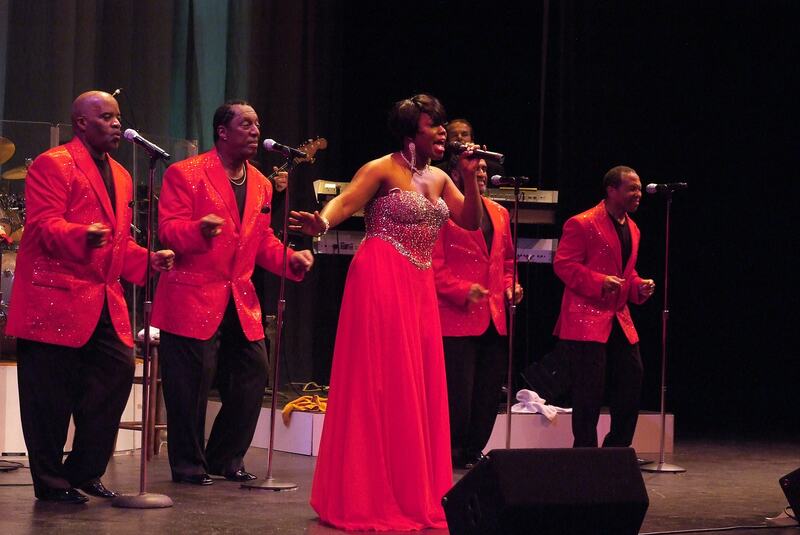 The show features stylishly-costumed, smoothly-choreographed performances the hallmark sounds of Detroit Motown and Philadelphia soul, backed by a seven-piece live band. Audiences will take a stroll down memory lane as they relive, or experience for the first time, the incredible harmonies and smooth moves made famous by the Temptations, The Four Tops, Stevie Wonder, Marvin Gaye, Earth, Wind, & Fire, James Brown, The Spinners, The O’Jays, and many more!